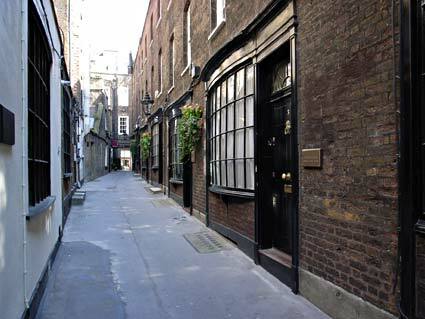 Adjacent to 55-56 St Martin's Lane and built into the frontage of The Theatre Goers Club of Great Britain, lies this beautiful short alley. 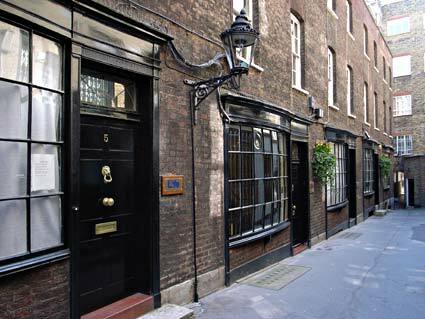 Built about 1627, walking along this charming court is like stepping back in time: the polished black doors have proper, highly polished knockers and knobs with brass plates announcing the names of the businesses therein. 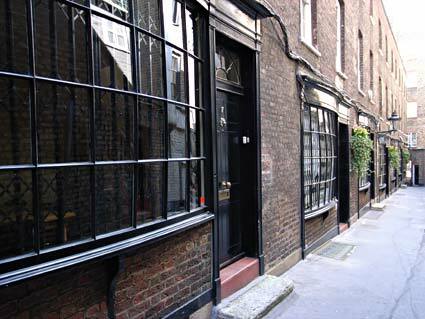 Three large, working gas lamps light the passage and the Georgian bowed windows reveal their previous existance as a row of shops. A plaque erected by the L.C.C. 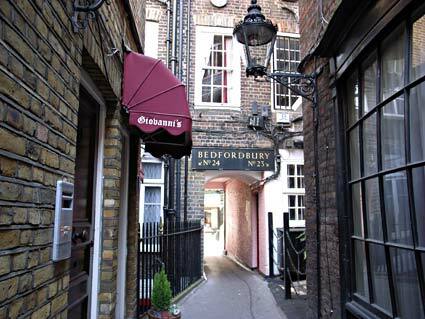 Survey states that the passage was previously known as Fishers Alley, with the current buildings erected in 1690.